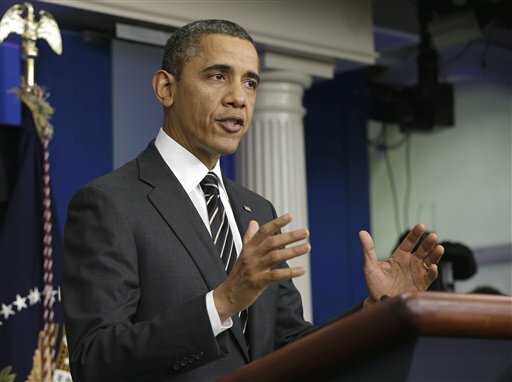 President Barack Obama is offering more Americans the chance to put away money for retirement. (Bloomberg) — President Barack Obama is offering more Americans the chance to put away money for retirement through payroll deductions with a plan for new government-sponsored savings accounts. The accounts, which Obama announced yesterday in a State of the Union address that concentrated on expanding economic opportunity, will be aimed at workers who don’t have access to a 401(k) plan, administration officials said. The “MyRA” plans, similar to individual retirement accounts, will provide “a new way for working Americans to start their own retirement savings,” Obama said. Under the proposal, workers could have part of their pay deducted for deposit into an account invested in U.S. government bonds that would be treated for tax purposes as a Roth individual retirement account, with future earnings tax-free. The accounts would be open to people with annual household income up to $191,000 whose employers choose to participate, according to a White House fact sheet. Initial investments could be as low as $25 and payroll contributions as low as $5. The plans, set up through the Treasury Department, would have a maximum balance of $15,000, after which money would have to be rolled over into a private- sector Roth IRA, the fact sheet said. Laurence D. Fink, chief executive officer of BlackRock Inc., the world’s largest asset manager, said in a statement yesterday that he’s “tremendously encouraged” by a proposal he said he hoped would “kick off a much-needed national conversation” on retirement security. The officials, who briefed reporters on condition of anonymity before Obama’s nationally televised speech, projected that millions of Americans would take advantage of the savings accounts. Participation would be voluntary and principal contributions will be guaranteed under the plan. The president can establish the savings program under existing executive authority without new legislation, the officials said. Obama will announce details of the proposal later today during a visit to Pennsylvania, according to the fact sheet. The proposal resembles an earlier Obama administration plan that would have required employers to offer an automatic IRA option to employees. That plan, which was included in Obama’s 2014 budget, would have cost the government an estimated $17.6 billion in foregone revenue over 10 years. About 68 percent of U.S. workers had access to retirement benefits as of March 2013, with 54 percent participating, according to the Bureau of Labor Statistics. The Investment Company Institute, a Washington-based trade group for the mutual-fund industry, welcomed the proposal as a complement to “existing vibrant and competitive private-sector retirementofferings,” according to a statement. Wolohan declined to comment further before hearing the details of Obama’s proposal. Vanguard was the second-largest manager of 401(k)-type assets in 2012 behind Fidelity Investments, according to researcher Cerulli Associates. Fidelity, which is also the largest provider of IRAs, declined to comment before hearing the speech, according to an e-mail from spokeswoman Eileen O’Connor. JPMorgan Chase & Co., which manages retirement assets and administers plans, declined to comment before seeing more details, Gregory Roth, a bank spokesman, said in an e-mail. One of the biggest challenges for the retirement system is that many workers don’t have access to a pension or 401(k) plan through their employer, said Lisa Mensah, executive director of the initiative on financial security at the Aspen Institute. Small-business groups in the past have opposed such proposals because they say that setting up the required payroll deduction would be a cost for them. U.S. savings bonds designed for retirement accounts have been proposed in the past and termed R-bonds, said Don Fuerst, an actuary and senior pension fellow at the American Academy of Actuaries. The securities are seen as a way to allow low-income workers to save for retirement, Fuerst said. They usually can’t contribute much at the start, making their balances expensive to administer and vulnerable to investment-management costs. With savings bonds, he said, the U.S. government can issue the investments and cover the costs of keeping track of them. The accounts aren’t as attractive as a typical employer- sponsored 401(k) because there is no employer match and only one investment option, Graff said. Even so, he said, it may significantly boost retirement savings for middle- and low-income workers who don’t have access to a 401(k) account, Graff said. Middle- and moderate-income workers in particular are much more likely to set aside money forretirement when they can have it directly deducted from their pay, Graff said. Among workers earning between $30,000 and $50,000 a year, 72 percent of those covered by an employer-sponsored payroll deduction retirement plan such as a 401(k) participate, while only 5 percent of those without such a plan set aside money through an IRA, according to a 2010 analysis of 2008 data by the Employee Benefit Research Institute.